China may be enemy to India but Chinese food is love for most of the Indians. Chinese food is actually emotions in India. No matter whether you are roaming across the northern part of India or you are somewhere at the Deep South, the aroma of Chinese food would always make your mouth drool. It is love for the Chinese food only that we have Indianized this food. This means the version of Chinese food has a Desi Tadka in it. We Indians are very good in modifications and nothing else than the modernized Chinese food can define this. Of course, the authentic Chinese food has its own taste but the Chinese food served in India is not less than that. In fact, we Indians love the Indian version much. Now, the question that comes here is that why India is in so much of love with Chinese food. It is simple because of the taste and the easy availability. Chinese food has taken the Indian street food completely. 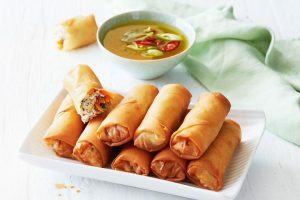 The streets of India serve the Chinese food items like noodles, mo:mo, fried rice, spring rolls, so proudly that for sometimes we even forget that these foods are not ours actually. In the last two decades the market of Chinese food has grown so fast. The best part about Chinese food is that, it is not the choice of a particular age group. In fact, people from all the ages have equal love for the Chinese food items. Chinese food has become a religion in India, saying this won’t be wrong, considering the love of Indians for this Asian Cuisine. 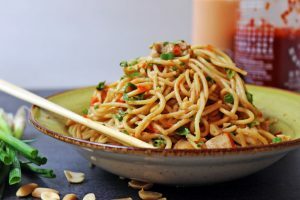 Well, I am dedicating this blog of mine for the Indianized Chinese food items. I am going to tell you the possible reasons that truly define the true love of Indians for the Chinese foods. Easy Accessibility: The easy accessibility of Chinese food all over the country is definitely the biggest reason that supports the love of countrymen for this. Whenever the topic of deciding on a place to eat comes up, the first thing on your mind is a Chinese food joint. Be it the authentic version or the Indianized version. Comes with Great Taste: If you want to enhance your taste buds then go Chinese, this is what people believe in India. The food is absolutely tasty and generally comes in good quantity – that’s what you and your friends strongly believe in. It always fits your pocket right and gives out full stomach schezwan burps. Love of Decades: It has been a long of introduction of Chinese food to India. We have our memories associated with the food that keeps us more intact with it. As a young teenager, your first party with friends was a Chinese food party. More than pizza it was about Chinese food. And you know why, because it is easily affordable. Affordable: Affordability is another great reason why we Indians are much drifted to Chinese foods. We love everything that comes cheap and definitely Chinese food item comes with a low price tag. Every time you hear wonderful news from your friends, you automatically think about a good Chinese restaurant for the party. It’s easily affordable and a sure way to have fun. The Extra Masala Twist: We Indians are known worldwide for our spicy food habit and probably Chinese relate with it. Chinese food never leaves Indians disappointed especially when it comes to spices and the twisted tastes. Highly Aromatic: You pass through a Chinese restaurant and you get drifted towards that. All the credit to this goes to the aroma of Chinese food that makes our mouth drool. All the scents coming out of restaurants and food joints around your house tempt you to eat this cuisine. If nothing else then Chinese bhel is a must have. The Best Serving Street Food: We Indians have the habit of eating at streets and Chinese food complements this habit of ours very well. You simply love roadside Chinese food, though it looks unhygienic. But who cares, right? More Challenges and More Food: People have challenged your true love for this cuisine and always claim that it’s not authentic. You simply pop some lollipops and crispies in your mouth and not care a damn about what they say. The taste of Chinese you cannot resist and simply you crave for more. Free Soups Give The Best Deal: When we are getting something for free, we want to grasp it all and this is what happens when you move towards a Chinese food stall. Your favourite soup in the world is Hot n Sour. You kill for the fried noodles that are served with the soup. Not to forget, dip those fried noodles in Schezwan sauce and eat till your order arrives. There are numerous other reasons that define Indians love for Chinese foods. They are tasty, they are easy to cook, they are easily available and most importantly they are affordable. All these reasons when come together gives the perfect emotion for the Chinese food item. No matter, how much you have eaten before a plate of momos would always work. You would somehow manage to get some space for the crispy fried rice. We cannot simply say no to Chinese food because it is emotion. Considering this only, we can find several Chinese food stalls and restaurants all around. if you are really concerned about health and in the meantime don’t want to compromise with taste then I would suggest you to eat Chinese food from a good place like The Chopstick Buddies. They are known across the country for serving tasty and authentic Chinese food.